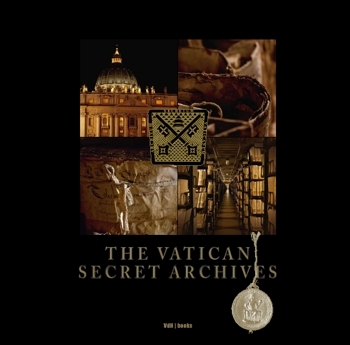 The Vatican Secret Archives have fuelled people’s imagination for centuries. This is largely due to its incomparable long and interesting history. Today, the entire documentation kept in the Vatican Secret Archives occupies 85 kilometres of bookshelves and is constantly growing. It covers a continued chronological space of over 800 years. Moreover, its unique location, the majestic documentary treasures and the limited access contribute to this aura of mystery. The shroud of secrecy that has always surrounded this important cultural institution of the Holy See, due to the allusions to inaccessible secrets, as well as to the publicity it has always enjoyed in literature and in the media, makes this publication even more attractive.